The USB serial adapters I use to capture HP54602 scope and HP8591 spectrum analyzer screenshots, as well as monitor the HP Z8501 GPS time standard, lack unique identifiers and appear as unpredictable device nodes. 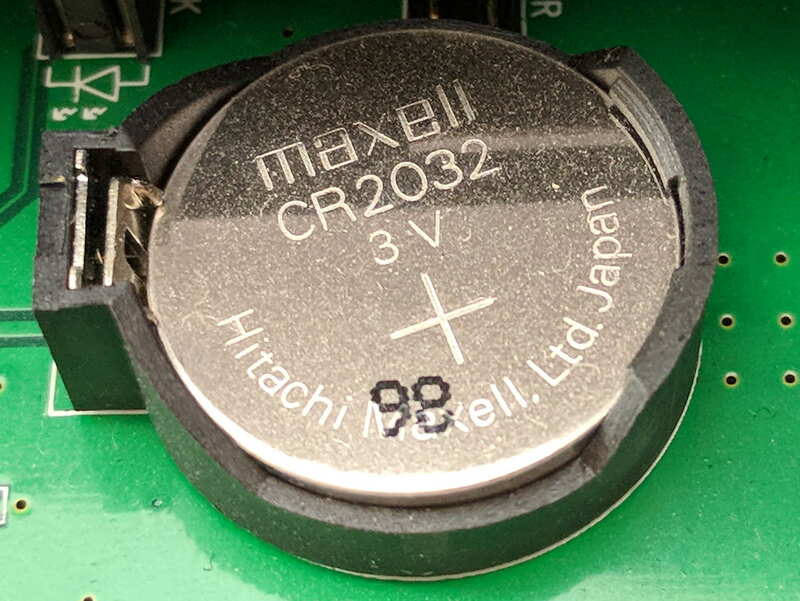 The PCB and chip date codes suggest a 2009 build, so “98” might mean August 2009. Whether that’s the manufacturing date or the best used by date, ya never know. A 14 VDC IBM laptop brick from the pile suits the “9 to 36 V” range printed on the case. 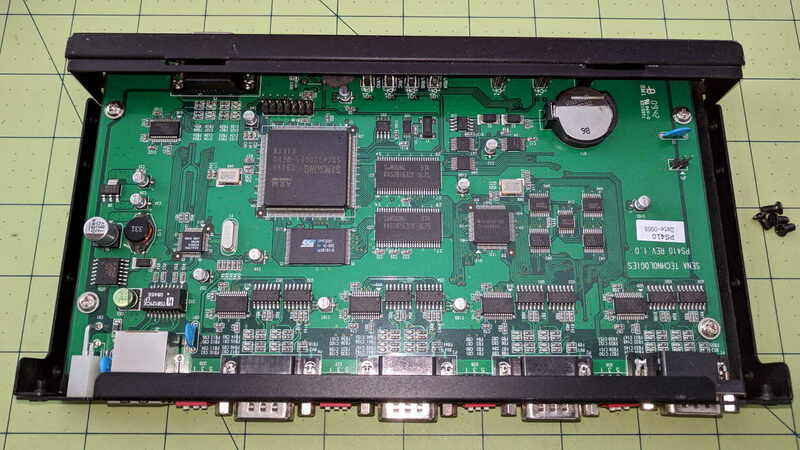 Some probing suggests FB9 used to be a ferrite bead between serial port 2’s ground pin and the frame ground. To compress an afternoon of tinkering into one sentence, there seems to be an occasional 35 VAC difference between the spectrum analyzer and the scope, but only when one or the other is plugged into the PS410. Everything is (now!) plugged into the same branch circuit and, in fact, the same outlet via many power strips, but the difference remains. A different power supply makes no difference, either. 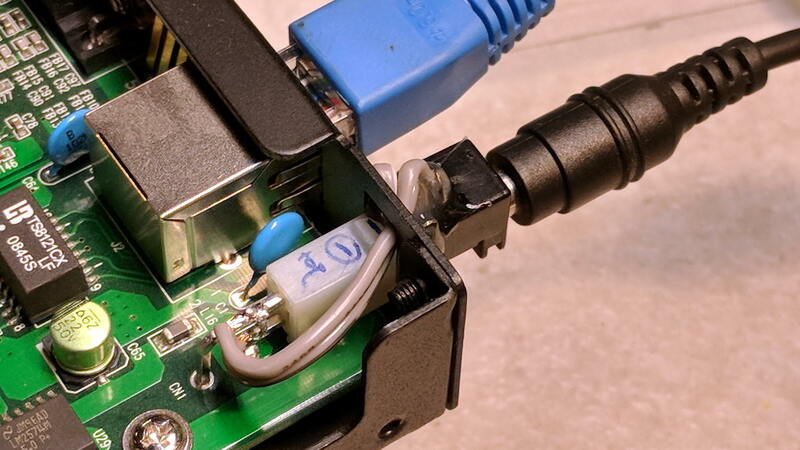 I managed to burn out the ferrite bead on Port 1 with only the scope and the power supply plugged in, by connecting the scope’s ground lead to the shell of Port 2. That makes no sense: there is no voltage difference between the scope’s serial ground and its probe ground. Something Is Not Right, but I’m baffled. I have established that the server works fine, even with the charred beads, which is a Good Thing. This entry was posted on 2018-03-21, 07:33 and is filed under Electronics Workbench, Machine Shop, PC Tweakage. You can follow any responses to this entry through RSS 2.0. Both comments and pings are currently closed. The USB unique identifiers thing: is this because you’re using devices from the same vendor (like the ersatz “FTDI” adapters that come with a blank or zero serial number), or …? I’ve got around this by using a mix of Qinheng, SiLabs, FTDI (real and fake, but never more than one fake on the same machine) and Prolific adapters and digging through the /dev/serial/by-* hierarchy to find the One True Path for each. AFAICT, long ago I bought three identical adapters with PL203 chips, bought another many years later, then the FTDI adapters appeared during the plotter adventure. Obviously, there’s no way to tell what you’re going to get, although nowadays I expect all “genuine FTDI” adapters have counterfeits. I could jam three (not four!) unique adapters into the bench laptop, but keeping that configuration stable, even with cable labels, would be … difficult. This is more of a WAG than a scientific, but is the shell of Port 2 anywhere near close to the unit’s ground point? I do recall that we sold a boatload of HCPL-XXXX optocouplers to people who made serial interfaces. I don’t recall any RS-232 specific ones, though the folks who bought the product line might have come up with something. The circuitry is impenetrable. I tried tracing things by resistance and came up with weird results, suggesting they’re either driving the shells with a guard voltage (?) or floating them entirely off-ground with those ferrite beads and varistors (?). Back when JFK was president, I discovered that the Textronix scopecart I was using had its convenience outlet miswired. Smoke and lighting forked from a probes ground lead connected to another chassis. In the same lab I found a miswired outlet in the raceway that ran around the room’s walls. Once upon a time, I was nearby when a tech discovered why you don’t just clip the ground lead onto what looks like it ought to be the circuit ground. 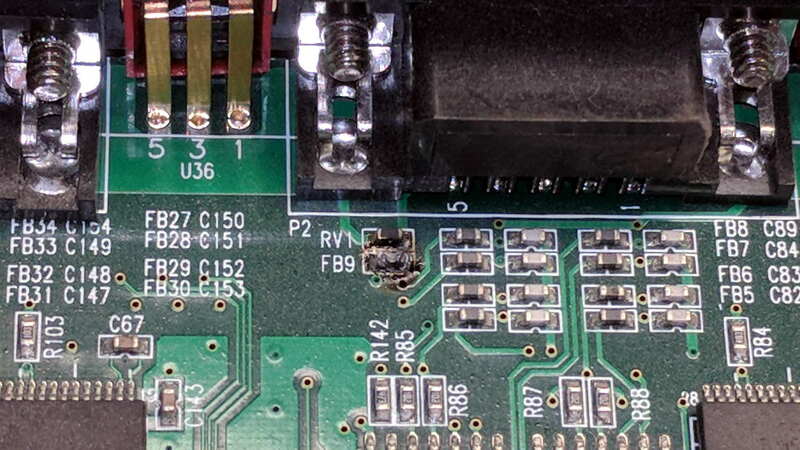 Molten insulation neatly sealed over both ends of the burned-open ground lead; mercifully, a gazillion dollars worth of Tek 7400-series mainframe oscilloscope emerged unscathed. Which, of course, is exactly what I did here. What is the voltage you see between neutral and ground at the outlet strip? My less-crappy meter says 0.2 VAC, which seems close enough to zero, and the outlet tester says the ground isn’t open, so I think it’s all good. But I poked the tester into all the strips and found one pair of outlets (going elsewhere) with an open ground. A pair of shiny new power strips will arrive tomorrow and I’ll rearrange the bench power situation.